DaySpring’s Christmas 2017 Collection is Here! I received the items featured in this post from DaySpring to review. This post contains affiliate links. I am SO over this summer weather as we welcome fall, so let’s talk about Christmas! Yep, Christmas is on my mind because, well, I love Christmas. The Hallmark Channel played some Christmas movies back in July and it led me down a holly jolly rabbit hole. Before I knew it, I was watching one of my favorite Christmas movies, The Holiday, and dreaming about how I would decorate our new home for Christmas for the first time! 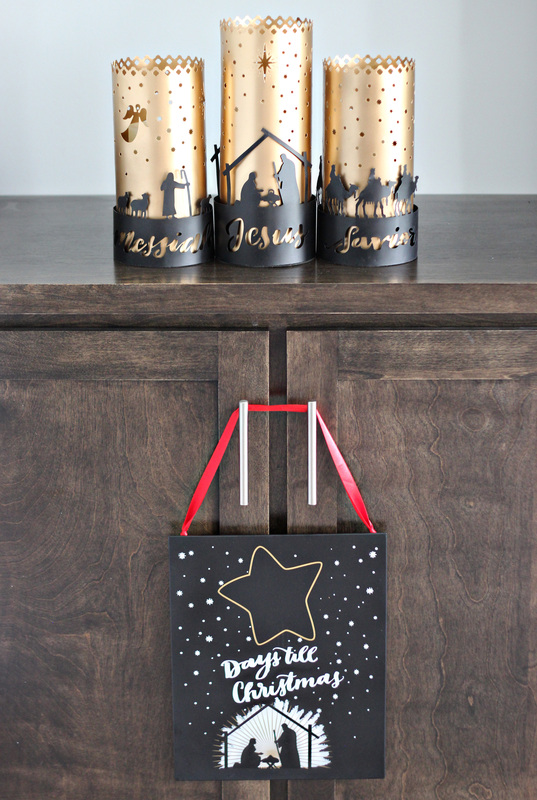 I know I will be using lots of beautiful items from the brand new DaySpring Christmas collection to put our home in the Christmas spirit, with a focus on the whole reason we celebrate: Jesus! I’m excited to give you a sneak peek of their beautiful line here today! 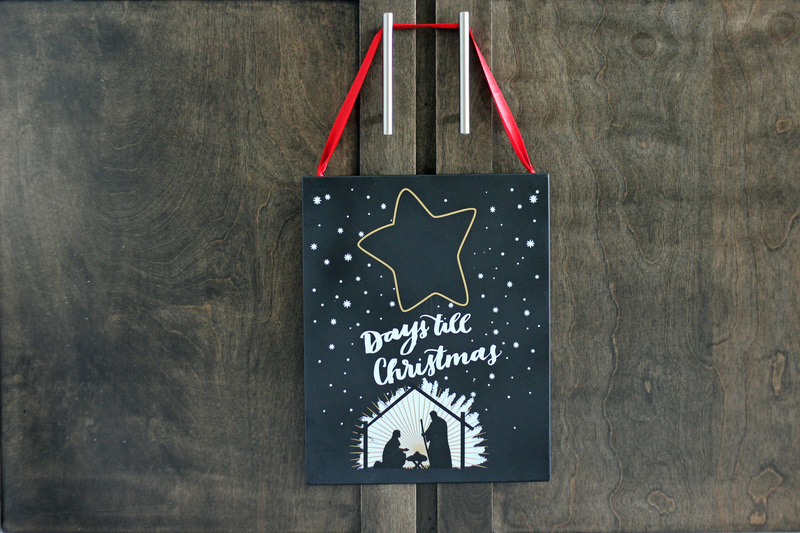 My kids LOVE a good countdown, so this Days Till Christmas metal chalkboard plaque will be a hit with them! 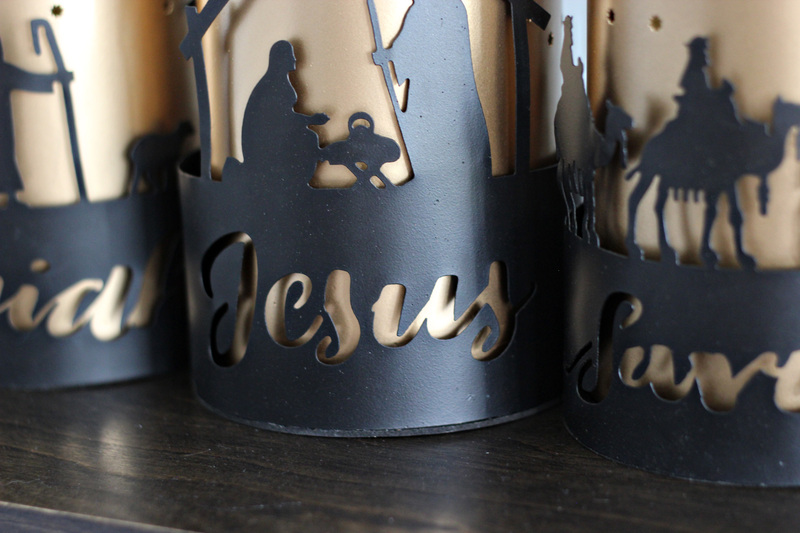 The gold accents tie in with many other items from DaySpring’s Christmas line this year and this countdown is all about anticipating the birth of Jesus. Beautiful, meaningful, loved by the whole family – exactly why I keep coming back to DaySpring! Last year, we were in the middle of moving during the Christmas season. We had no decorations up except for a pre-lit tree with no ornaments. It was necessary at the time as we were moving just days after Christmas, but it was also sad! This year, our tree will be back in full ornament-mode! Yippee! It should be no surprise that DaySpring has the best collection of Christmas ornaments. 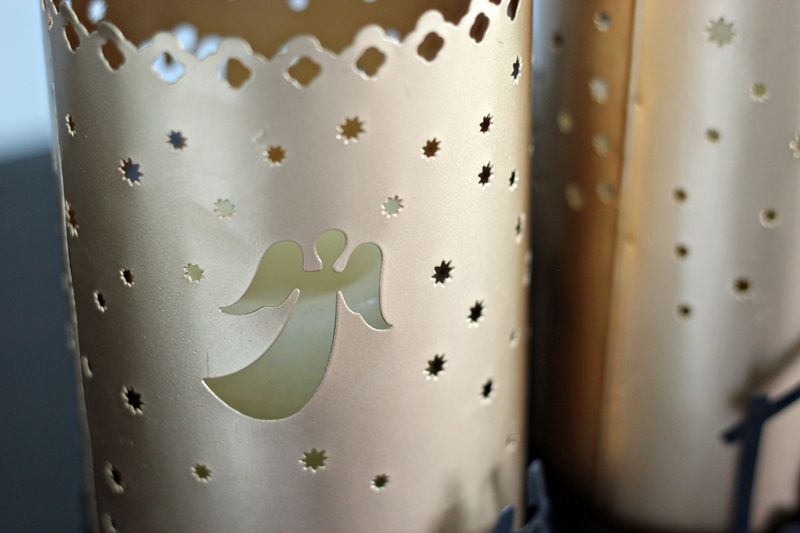 Whether your theme is elegant, rustic, or eclectic, you will find ornaments you love! 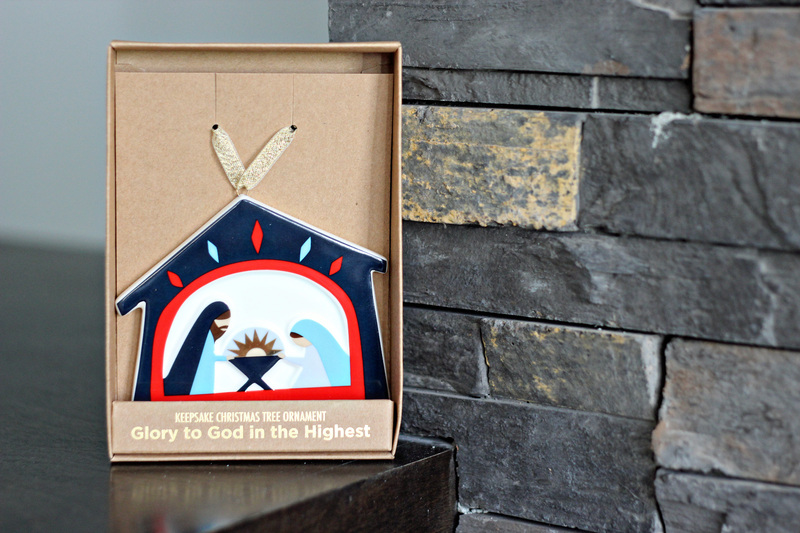 This porcelain ornament depicts the birth of Jesus in a simple, beautiful way. I also have my eye on a fun set of wooden ornaments – so many great ones from which to choose! You may remember a while back when I got my first set of hurricanes from DaySpring. I had my eye on them for a long time and was giddy when they finally arrived in my home. 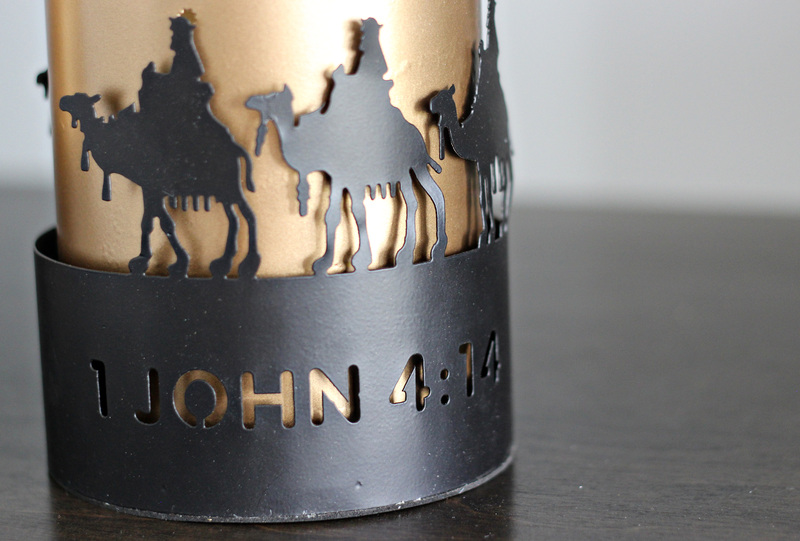 DaySpring has one-upped their original design this Christmas and I am in love all over again! 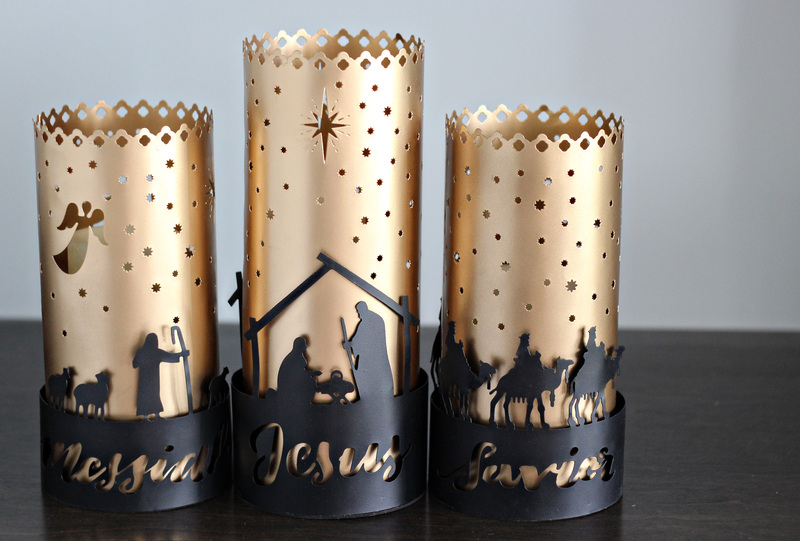 The brand new Nativity Hurricane Trio Luminary Set is absolutely gorgeous in gold with intricate cutout designs that declare the names of Jesus. On the back of each hurricane is the Scripture verse that corresponds with name seen on front. This is my favorite thing from the whole Christmas line! 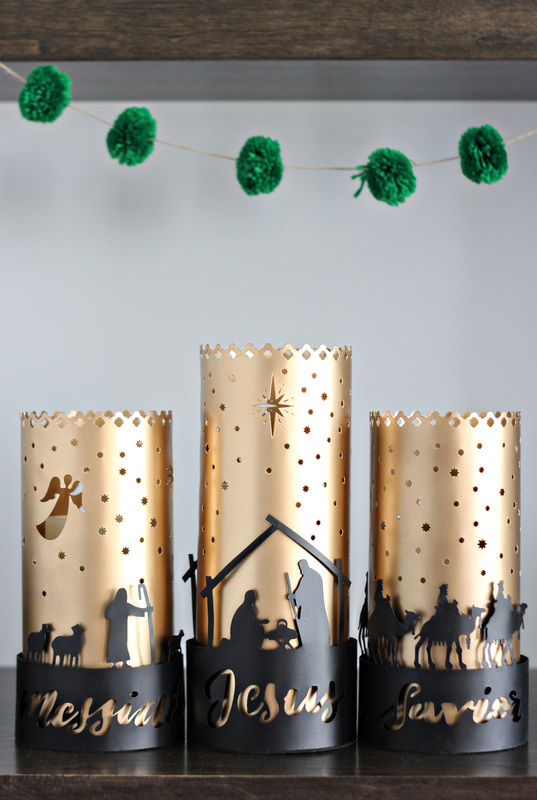 The Nativity Hurricane Trio will have a prominent place in our Christmas decorating this year. 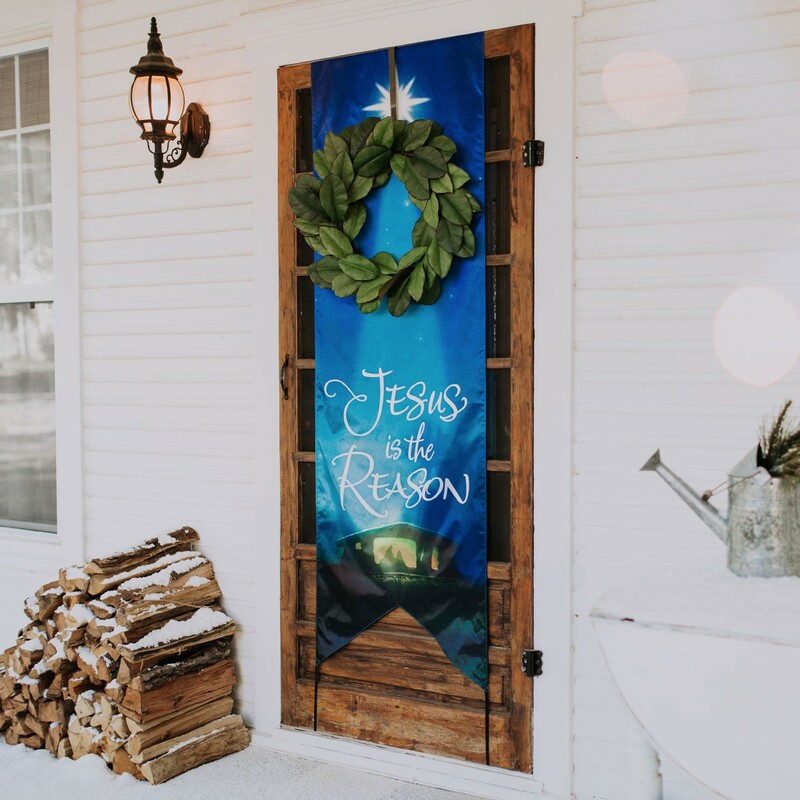 Decor the Door – If you’ve always wanted to decorate your front door for Christmas, but didn’t want to put up a hook, Decor the Door is perfect for you! Each fabric banner fits over the door and features a design for both the exterior and interior of your home. I totally love this idea and will be ordering the red Joy to the World banner for our home! 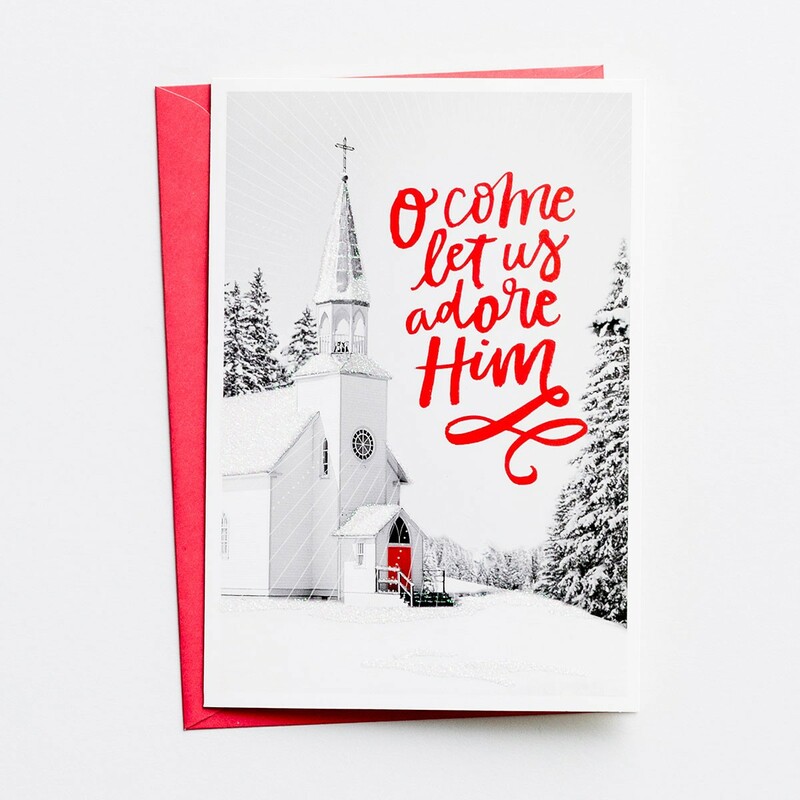 Christmas Cards – DaySpring is THE place to go for Christmas cards! You can find beautiful designs like this one, as well as personalized boxed sets and premium cards to fit every style! Get ahead of the busyness of the holidays and order your cards now! 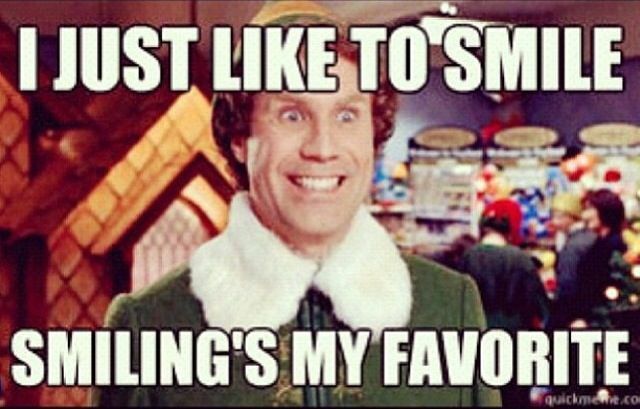 Head over to DaySpring today to start your Christmas decor shopping – you’ll be feeling like Buddy the Elf before you know it!